The new three piece sectional offers style and comfort. 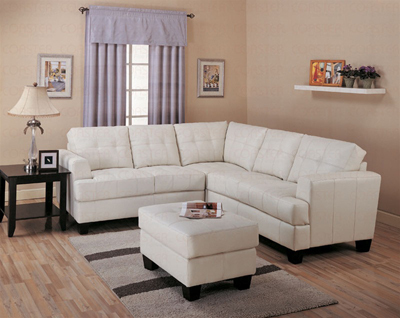 Features clean lines and attached cushions. Hardwood frame, webbed back, sinuous spring base with pocket coil cushions, baseball stitching. Also available occasional table set in a cappuccino finish. 3 piece set includes coffee table and two end tables.